They take time to deliver and usually have two windows for delivery, so just make sure you check their website well before your order. I think the delivery timelines are a bit of a pain, especially if you're super hungry and want good food fast. That said, the food is so good it's worth it. 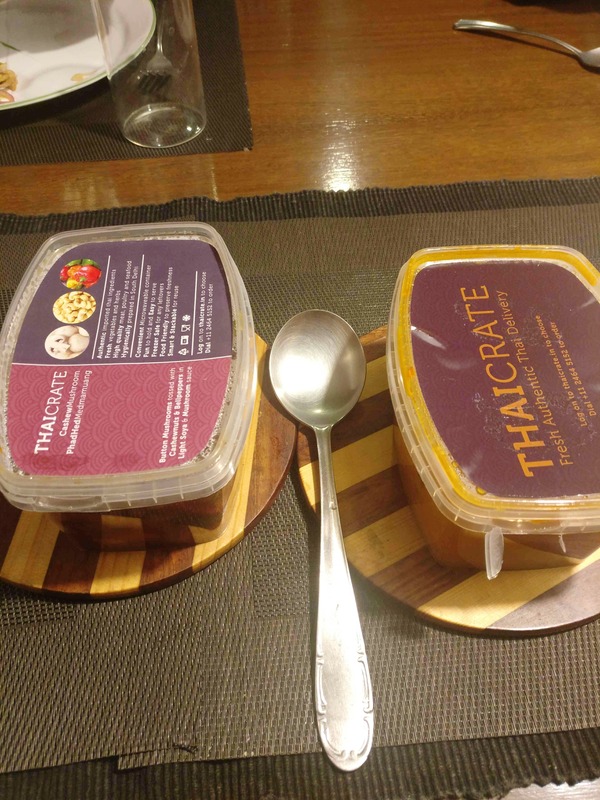 From the menu options to the ingredients, the packaging and flavours, Thai Crate gets just about everything right. Their food is perfect for a night in, when you're too lazy to cook yourself or have a bunch of friends coming over. Favourites off the menu are their mushroom salad, chicken red curry, broccoli and beans main, and this hot mushrooms and cashews main to go with rice. The portions are HUGE. In fact, our order of all the above was good enough for four people and we still had leftovers. Portions are hearty, as is the cheque. I save Thai Crate for when I'm craving a good curry and Asian salads, and have the company of at least one friend. It's not the cheapest place to order in from; but definitely worth it when you do.